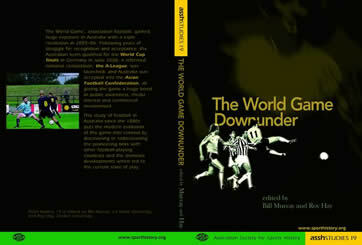 Bill Murray and Roy Hay (eds) The World Game Downunder, ASSH Studies in Sports History, no. 19, Australian Society for Sports History, Melbourne, 2006. The book was favourably reviewed by Ian Syson in the Age on 10 June 2006 in his article ‘More than a game,’ from which the following extract is taken.